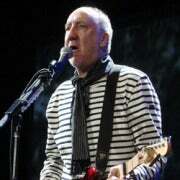 Legendary rock guitarist Pete Townshend of The Who has branded Apple’s iTunes music empire a “digital vampire” that bleeds artists’ works because it doesn’t do enough to help out new artists. Speaking at a radio festival in Salford, England, Townshend called for Apple to hire talent scouts and provide artists with more than just a storefront via iTunes, according to the BBC. “Is there really any good reason why, just because iTunes exists in the Wild West Internet land of Facebook and Twitter, it can't provide some aspect of these services to the artists whose work it bleeds like a digital vampire […] for its enormous commission?” Townshend asked in his speech. The guitarist urged Apple, whose iTunes store accounts for more than 75 percent of all legal downloads, to employ some 20 talent scouts from the “dying record business” to mentor new acts, on top of providing financial and marketing support to the best acts discovered. Townshend continued to praise iTunes as a “fantastic piece of software” but said he felt Apple should offer more than distribution and royalties to the singers whose works it sells in the store. Townshend’s idea is to support artists in other ways as well, such as free computers and giving advice to a list of 500 artists Apple feels deserve merit, and then help them with promotion, distribution and copyright. The guitarist also said artists should be able to share their music like a local radio station, and he urged Apple, now run by Tim Cook, to adopt at least one of his suggestions: “If Apple do even one of the things on my wish-list [my inner artist] will offer to cut off his own balls,” Townshend said, according to The Guardian. Townshend’s idea is for the iTunes store to behave more like a traditional record label, which not only distributes music, but also nurtures talent. However, Steve Jobs’ biography by Walter Isaacson sheds more light on the former Apple CEO’s vision for iTunes. Initially, with iTunes, Jobs wanted to offer iPod users a way to download songs that was simple, safe and legal, without having to resort to piracy and file-sharing sites that was extremely popular in the early 2000s. Jobs’ achievement was to get music companies to agree on a standardized encoding method for protecting music files that would be sold in the same easy way, whether they were entire albums or individual songs -- because he really liked music and the artists who made it and was opposed to piracy, Isaacson writes. But whether iTunes could become more than a distribution channel and nurture new talent, is something that Cook will have to consider for the future.